5 girls, R150 per guest thereafter. 1 party hostess per 5 guests (R 200 per hostess thereafter). Themed Express Parties are also available at additional cost! – Package does NOT include gowns, tables, chairs, deco and gazebos! For party extras, please click here. 10 girls, R100 per guest thereafter. 2 party hostesses per 10 guests (R 200 per hostess thereafter). – Little square cakes(to be decorated by the girls) and finally put together as a whole cake. Is there any celebration more elegant than a tea party? Little girls love putting on their finest party dresses and snacking on delectable treats, while sipping tea (or apple cider or hot chocolate!) This package is an exciting way of getting your daughter and her friends to interact and have fun, while just being girls! Let us set the scene for her ultimate Tea Party! Themed Tea Parties are also available at additional cost! 10 girls, R130 per guest thereafter. 2 party hostesses per 10 guests (R 200 per hostess thereafter). All products and equipment needed for the party, including tablecloths. 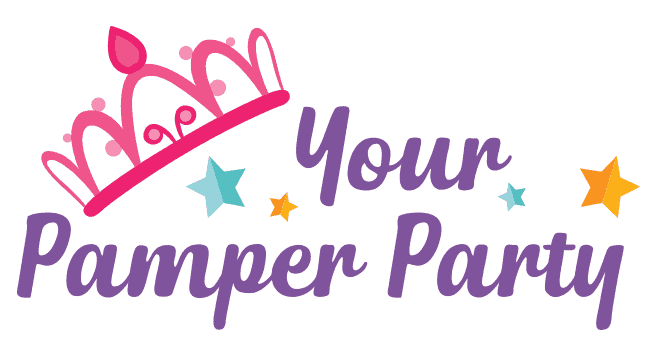 Use this package to help create your Daughters unique Pamper party with the Pamper Extras we have to choose from. * Blankets and scatter cushions available at an additional cost * Hyper-sensitive options are available. Themed Parties are also available! 10 girls, R150 per guest thereafter. 2 party hostesses per 10 guests (R 200 per hostess thereafter). – Kiddies sparkling Champers (in plastic champagne glasses with a sweet surprise! ), scattered with a touch of rose petals. For a minimum of 10 guests, R60 per bottle thereafter. – Fancy Dress & Decor Box – including masks, feather boas, hats, and basic decorations. – Pretty Pamper gift packs for the all the girls to take home and a FREE pamper gift pack for the Birthday Girl. – All products and equipment needed for the party, including tablecloths. – Package does NOT include gowns, tables, chairs and gazebos! For party extras, please click here. – A FREE pamper gift pack for the Birthday Girl. This is an all round pamper package in which the moms are involved too. Additional hostesses stationed specifically to handle everything else (snacks, refreshments, etc). These packages allows you to make the party more interactive and exciting. Why not create a custom party with the options below? Or alternatively choose between any of our party activities below to add to a pamper package of your choice. Includes a vanilla cupcake with plain icing and a selection of pretty decorations. Each guest will receive a box to take her cupcake home. All guests will receive a plain face to beautify with the selection of make up and crayons. At the end of the activity all girls will receive a prize for the most beautiful face. All guests will receive a selection of beads and string to make a piece of jewelry of their choice. This includes Cupcake decorating (Pre baked cupcakes/cakes to be decorated), making delicious sweet treats from scratch (using marshmallows, coconut, chocolate and much more!) and a Blind Taste test! *This is a package that will be fun-filled with activities for the children. Highly beneficial for parties that have both girls and boys. This package could include riddles, clues, a treasure hunt and lots of prizes to be won. (Parents could join in for some additional entertainment). *This is a DIY deco and art session open to both girls and boys as well. There could be activities such as painting, making something out of materials like paper, string, glue, etc. Book a party today and join our list of happy clients ? Click here to place a booking!